One of my close friends revealed to me about a frustration she had when preparing for her wedding about a week ago. She was so worried about how she would look like sitting on the dais, and whether the flower arrangements had the right synchronization of colors to match with her beautiful wedding gown. Her mother, on the contrary, kept saying that she shouldn’t be too worried on that aspect. The main reason? The guests were actually more concerned about the food and drinks! Hmm… I did ponder a while about what my friend told me. Is it true that the bride would never be the focal point on her own wedding day? This is pretty sad to know! I mean, for sure, the center point of a wedding day would certainly be the bride, wouldn’t it? But… after consulting a few of my other close friends who were already married, I had to admit that there was a truth in my friend’s mother’s statement. In many occasions, if the bride didn’t look pretty enough, guests would give comments there and then. Period. But, if there were issues with the food, they would remember and talk about it for weeks later. This makes sense, as food is the biggest element in any wedding, regardless the size of the wedding. 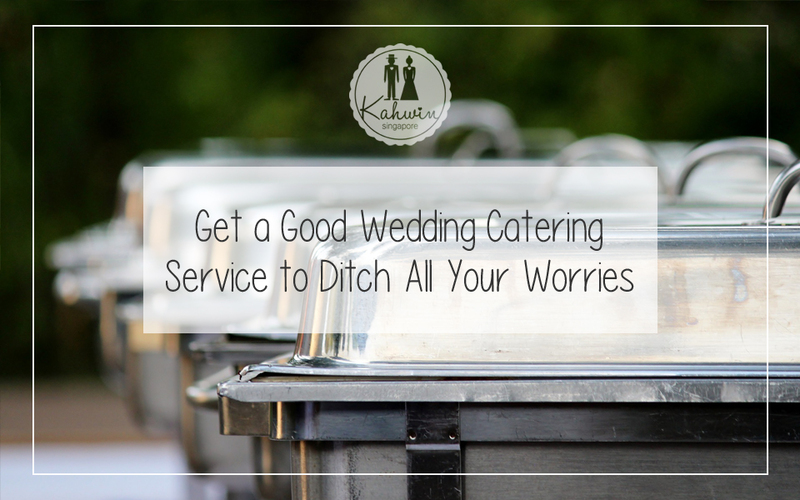 That being said, it becomes imperative that you hire a good catering service, just so to chase your worries away. 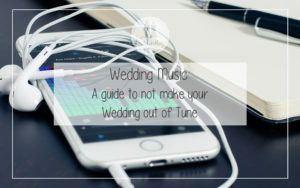 However, hiring a wedding catering company without doing some homework is not a good idea. You must get your hands on the best available company that falls within your budget. So how can you identify the quality of a good wedding caterer? 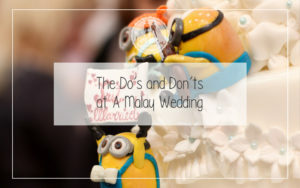 Below is a list of common traits owned by a credible Malay wedding catering service provider. If you are planning to throw a lavish wedding reception, for instance, of course your aim is to serve the best spread of food money can buy. This means you want your food to be the tastiest as possible, using the freshest ingredients. As most of the ingredients would be perishable in nature, it requires the attention of a well-experienced caterer who knows all the tips and tricks of preserving quality in food. The food should be in its best condition for at least 8 hours, and remember that it’s in a big quantity so it’s definitely a tricky area to master. Only a truly experienced caterer could manage to pull through all obstacles and achieve A+ with respect to quality. When a caterer says he will be available on the day of your wedding, it does not mean that you should do the hiring right away. Availability is usually used to shortlist a caterer, that’s all. But, once the caterer confirms that he will be available, this is the time when you could test his claims. There was an instance whereby my friend had hired a caterer who turned out to be catering for two events on the same day. The head chef had to juggle between these two events, and a dish was mistakenly delivered to the wrong venue! To make things worse, they only had one manager and the problem took an hour to solve. By then, the dish had turned cold but it had to be served anyway. Tip: Always check whether your caterer would be able to give full attention to your event alone throughout the entire day. When you book a hall at a golf club or a hotel, most probably there would be in-house caterers provided. In many situations, you can’t really bring in outside food because all the food will be strictly served by the in-house caterers. The good thing is the quality of food is usually in its top condition, and when you receive more guests than you had expected, there will always be backup food to serve. In other words, they provide simple and quick solutions, so there’s nothing to worry about. Hiring a regular hall, however, gives you more flexibility in terms of choosing your caterer. You can even cook your own food, if you wish so. While these caterers could be well-experienced, shortage of food could still happen. When this happens, you are free to choose whether to buy additional food from a nearby restaurant, or to top up your order from your existing caterer. Either way is fine, so again, solutions could be found quickly and easily. The regular menu for a typical Malay wedding may consist of nasi minyak/briyani, acar, ayam masak merah, and daging briyani. However, people are now more receptive to a variety of menus and no longer confined to the same traditional choices of food. For instance, some might prefer to serve lauk-pauk kampung (authentic dishes). In fact, such a menu could be more appetizing when prepared by an authentic cook. The menu of lauk-pauk kampung such as lemak ayam cili padi, sambal sotong, sambal goreng and urap served with nasi kukus could actually make your guests line up for the second serving! In addition to that, you could also serve cendol, bubur pulut hitam or sago pudding as desserts. Remember that only a good caterer knows how to prepare your preferred menu up to your standards. Thus, make a point to investigate the extent of their experience. Never rush into anything until you’re sure of their capability. Good caterers will always be concerned on how to deliver splendid impression to the max. They work hard to provide the best experience to your guests in terms of quality and presentation of the food. 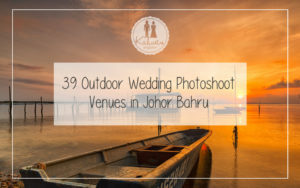 They make arrangements and plans months before your wedding date, and they don’t mind if the tasks are difficult to tackle or daunting in nature. What’s most important to them is that your big day would become an unforgettable event, and of course, in a positive way. 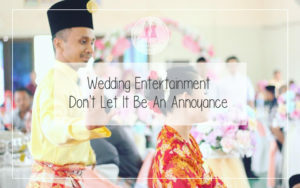 A reliable Malay wedding catering service takes responsibility in arranging and delivering everything in terms of food preparation and serving. They can be relied on to prepare food for your entire guests. They are also equipped with tents, dining tables and chairs, and even sound systems. 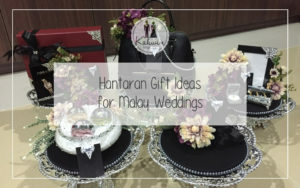 Some caterers would provide you with free gifts for certain types of orders. Make sure that you appoint a good catering service so that all the little details will be taken care of, and you can experience peace of mind on your big day.